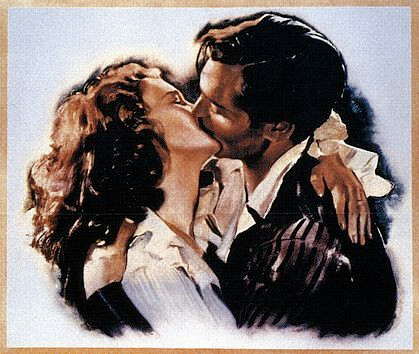 If box-office receipts are adjusted for inflation, Gone With the Wind is still the highest-grossing film of all time, with earnings of $3.4 billion in 2014 dollars. 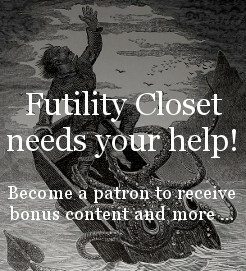 OH, ALL RIGHT, GO AHEAD AND HAVE A VULGAR COMMERCIAL SUCCESS! 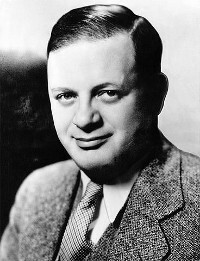 Herman was a mischievous child. One day after some misdemeanor, Herman was confined to the house by his mother. To keep him there during her absence, she hid the long stockings he needed for his knickers. Herman went to his mother’s room, put on a pair of her stockings, got on his bike, and rode off to the Wilkes-Barre public library, where he loved to browse among the shelves and to read for hours. When he came out, the precious bike was gone — stolen. Herman’s punishment was permanent. His father never bought him another bike. His mother answered Herman’s pleas by telling him it was all his own fault. In Willy Wonka & the Chocolate Factory (1971), just after Charlie buys a chocolate bar, he discovers a commotion at a newsstand: The finder of the fifth ticket, a “gambler from Paraguay,” has been declared a fraud. “Can you imagine the nerve of that guy, trying to fool the whole world?” says one man. “Boy, he really was a crook,” says another. The man pictured in the newspaper is Martin Bormann, Adolf Hitler’s private secretary. Here’s a curious invention from 1916, in the early days of motion pictures: It’s a machine designed to suggest plot ideas by randomly juxtaposing ideas. Words, pictures, and even bars of music are printed on paper rollers, and the writer turns these to present six elements that form the basis of a story. 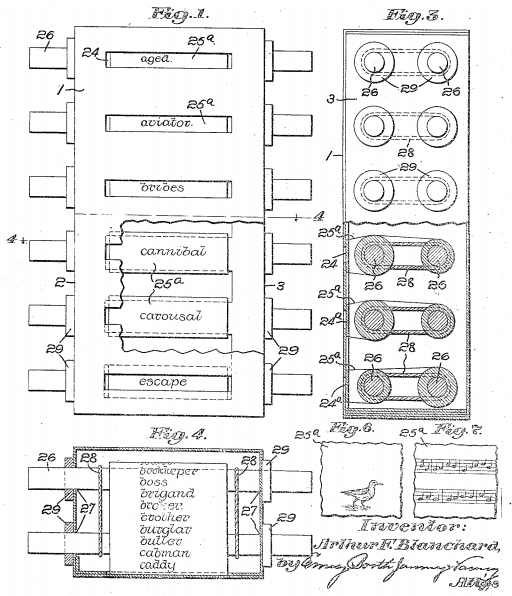 Inventor Arthur Blanchard says that this technique can be used to inspire any fictional work, from a cartoon to a song, but he patented it specifically as a “movie writer.” Whether it inspired any movies I don’t know. She came over to me and whispered, ‘I’ve just heard the most surprising thing. Look, please come and see me. I’m staying at my aunt’s … Mrs. Sigourney Howard … phone book …’ She was hurrying away as she spoke, to join her friends who were waiting to drive her home. She couldn’t have known it at the time, but it appears that Fitzgerald intended Sigourney to be a man’s name: He had borrowed it from his friend Father Sigourney Fay, to whom This Side of Paradise is also dedicated. As the series developed, readers came to expect an ever more extensive drinks menu. In On Her Majesty’s Secret Service, for example, the eleventh book, Bond downs no less than forty-six drinks, the widest variety in any single book. According to one Bondologist, these include: unspecified quantities of Pouilly-Fuissé white wine, Taittinger champagne, Mouton Rothschild ’53 claret, calvados, Krug champagne, three bourbons with water, four vodka and tonics, two double brandy and ginger ales, two whisky and sodas, three double vodka martinis, two double bourbons on the rocks, at least one glass of neat whisky, a flask of Enzian schnapps, Marsala wine, the better part of a bottle of fiery Algerian wine (served by M), two more Scotch whiskies, half a pint of I.W. Harper bourbon, a Jack Daniel’s Tennessee whisky with water, on the rocks, a bottle of Riquewihr wine, four steins of Franziskaner beer, and a double Steinhäger gin. 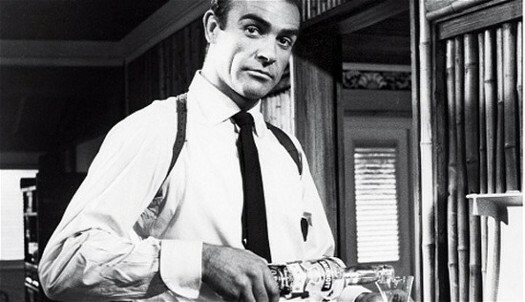 The same indefatigable researcher has found that although vodka martini has now become Bond’s signature drink, he only drinks nineteen of them in the books, compared to thirty-seven bourbons, twenty-one Scotches and a remarkable thirty-five sakes (entirely the result of his massive consumption of that particular drink in You Only Live Twice).